By now most people are familiar with the Hubway bike share program located throughout the greater Boston area. This program allows riders to pickup a bike owned by the city of Boston, Cambridge, Sommerville, and Brookline. Riders can use this bike and then return it at any one of the Hubway bike share stations around the area. These bikes are the same as ones used in cities across the country like Washington, DC where the program originated. They are all operated by one of two companies that provide the same bikes with different paint and graphics for each respective program. As our Boston bike crash lawyers can explain, many argue that these bikes are dangerous as are the possibly less experienced riders, but that is not really the case. According to a recent news article from Seattle Weekly, these bike sharing programs could actually make the city a safer place for everyone. At the author notes, this bike sharing program may do even more to make the roads and streets safer than bicycle helmets. This is not to say that bicycle helmets should not be used, but anything that can be done to decrease the number of serious and fatal bike crashes should be done. 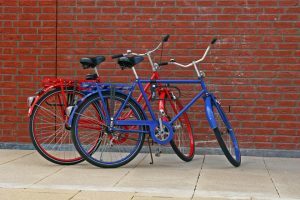 These programs are thought to benefit everyone and increase bike safety by increasing the number of bikes on the roads of the greater Boston area and other cities. While it may seem counter-intuitive that more bikes on the road would reduce the number of bike accidents instead of increasing the number of bike crashes, we have to look at the reason for most bike crashes. Most bike crashes, contrary to what many motorists think, are not the fault of bike riders. One issue is that many motorists feel they have the right of way much of the time and bikes basically have to get out the way of the cars. This is not true. The laws in the Commonwealth, as defined in Massachusetts General Laws Chapter 90, Section 14, establish the rules of the ride for cars and bike riders. This section provides that cars must afford bicyclist the same rights as any other drivers. The section also establishes that bike riders must follow the rules of the road as well. One of the biggest complaints of motorists that leads to a lot of misunderstandings is that bike riders do not follow the rules of the road. Motorists see some bike riders who routinely run red traffic signals and stop signs without even slowing down. They see bike riders riding on the sidewalk when it is convenient and then riding into the streets as they see fit. While there are certainly some bike riders who do this, the clear majority of bike riders follow the rules, so this is largely a misconception on the part of motorists and even some pedestrians. The real issue is lack of awareness of the rules of the road pertaining to bikes and a lack of respect for many bike riders. These bike sharing programs can change that because they are putting thousands of more bikes on the road and this means many times the number of bike riders since there are many bike riders for every sharable bike. With these programs also comes more public awareness about bike safety in general and that will also reduce the number of bike crashes. Data from these programs as discussed in the article show that an increase in the number of bikes on the road has done far more than even the increase in the number of riders wearing helmets. Again, this is not saying people should not wear helmets, because they certainly do work to prevent some head injuries and even death. When we look at other countries such as ones in Europe, data shows that a much larger percentage of the population has been riding bikes than in cities across the United States, and this has been the case for many years. Some cities in Germany are considered “bike meccas” and even they have much lower rates of bike crashes per capital. Even though there are some many more bikes on the road, people are educated about bike safety, including motorists and bicyclists, and even more importantly, they are aware of the bikes on the road and know to keep looking out for them when driving and especially when turning. They also have a much lower number of dooring incidents. A dooring incident is when a driver or passenger in a motor vehicle opens the vehicle door in the path of an oncoming bike rider. This is extremely dangerous as the bike rider may not be able to avoid the door and will end up being seriously injured. In some case, the bike rider will swerve to avoid the door and end up crashing into another car. This can be result in a serious or even fatal accident. Many drivers, and even some police officers in Boston, assume that it is the bike rider’s fault since they were the one that ran into the door. While it is true that a motorist is responsible for running into an object, the Massachusetts General Laws clearly establish in Section 14 of Chapter 90 that the driver or occupant of a motor vehicle cannot open a door in such a way that impedes the path of a bike rider. This means that dooring is clearly the fault of the person who opens the door and this could be the basis for filing a Boston bike crash lawsuit.